If you are like me, you have a closet full of clothes that you don’t wear yet they hang around like old friends. Looking in your wardrobe will you find those clothes that don’t fit (either too small or too big), those special occasion clothes that you’ll never wear again or just those impulsive buys that you loved in the store but when you got home, you smacked yourself upside the head, trying to think whatever possessed you to even look at that item? As we are about to Spring into a new season, now might be a perfect time to do a wardrobe audit. As you change your closet from winter wear to spring, take some time to figure out what truly belongs in your closet and what you can throw away or donate. Set aside at least 3-4 hours to do a wardrobe audit. Throw on some old sweats, grab a glass of wine, a notebook and pen and let’s get started. 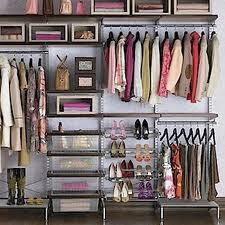 A wardrobe audit consists of everything in your closet including shoes, handbags, coats, scarves, belts etc. The notebook is for you to be able to fill in the missing parts of your wardrobe, so that when you go shopping you will be able to see what is missing instead of guessing. How do you go about making your wardrobe work better for you? 1. Take out all of your clothes from your closet and put them on your bed! 2. Make sure you have enough room to separate your clothes into four different piles; one to keep, one for the dry cleaners/tailor, one to giveaway and one to throwaway! a. Does it fit properly? Is it too big or too small? If it’s too big but you know that it looks good on you, invest in a good tailor! If it’s too small and you’re thinking that when you loose that extra 5 pounds it will fit just right, be realistic. If you haven’t make a concerted effort to lose those 5 pounds, that garment is just taking up space. b. Look for signs of wear in the fabric – hem line, hanging threads, buttons missing etc – can it be fixed? Put it in a pile for the dry cleaner or tailor. c. Is it out of date? Does it look like it belongs in another decade? Is it too young or too old for me? d. Does the color look great on you? If you are not sure what colors look good on you, consider investing in the services of an Image Consultant to “do your colors”. The money you spend on an Image Consultant will save you money in the long run. e. Can you mix and match the piece of clothing with other items in your wardrobe? If you can’t wear it with other clothes you already own, get rid of it. Now that you’ve gone through all the clothes in your closet and separated them into four piles, we’re almost finished. The “keep it” pile are those clothes that look perfect on you with no need to alter or clean. Invest in some great hangers. Great hangers protect your clothing in the long run, helping your clothes retain their shape! Put all of your clothes in order by hanging pants, suits, jackets, etc. all together. This will make finding your clothes easier. The throwaway pile is that pile for clothes that are worn, torn or just out of date…Get Rid of Them. The giveaway pile. There are many things that you can do with this pile. a. You can organize a clothing swap with your girlfriends. Set aside a Saturday afternoon complete with food and drinks, invite your friends to bring clothes from their closets and spend an afternoon “shopping” each other’s closets. It’s not only a way to get “new clothes” for your closet, it is a great way to bond with your friends. b. Take your clothes to a Consignment Shop for them to sell. You can bring unwanted items to a consignment shop for the shop owner to sell for you. When an item is sold, the sale price of the item is split between the owner of the item and the shop owner. c. Donate them to an organization such as “Dress for Success” or a similar organization which offers women who are in job training programs free clothing for interviews and jobs. For more information on Dress for Success in your area, please visit www.dressforsuccess.org. 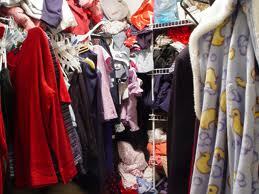 A wardrobe audit can seem like a long and daunting task, but believe me that when you are through you will feel free. If this seems like a task that you can’t or don’t want to do alone, consider investing in an Image Consultant to help you with these tasks! Thank you for your feedback, we love your mag!